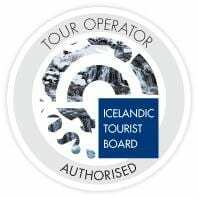 Our goal is to offer safe and active experiences that creates memories for a life time.Birnir V. Ásbjörnsson is the founder and owner of Ice and mountain trips. He is also the company´s local guide and runs the company with his wife Silja Gylfadóttir.Birnir (or Binni as we call him) was born and raised in Höfn and knows the gems of South-east nature very well. He endeavors to make your visit to Iceland unforgetable.